Ed Roberts and his family were over for some burgers and beers a few weeks ago. Ed brought the Westbrook Rhubarb Remix, the Cantillon Lou Pepe, the Brooklyn Cuvee Noire, and the Intuition Ale Underdark Imperial Stout. Yeah, I know! 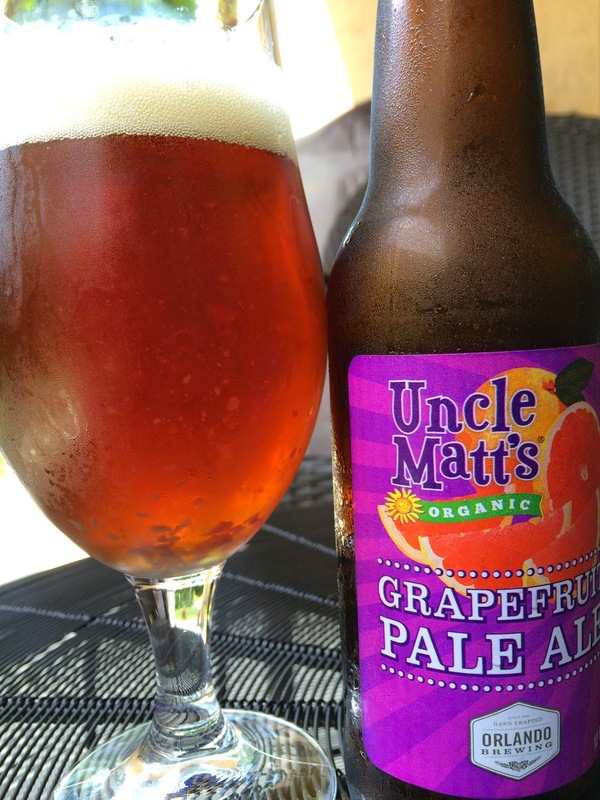 But he also left behind a bunch of Leinenkugel shandy varieties and this one I'm trying today: Orlando Brewing's Uncle Matt's Organic Grapefruit Pale Ale. The brewery tells a little story on the back, how they only brew what they want to drink. 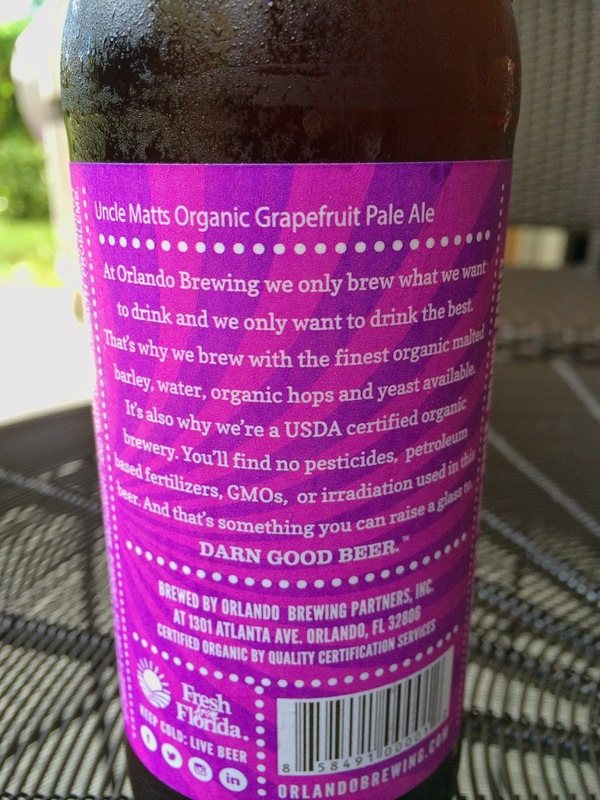 Oh, and how all the organic stuff that goes into this beer results in DARN GOOD BEER. Holy chunks of yeast! We're talking mega floaties. Sweet grapefruit and orange fruity aroma. Much maltier flavors than expected--lots of caramel and a strong herbal tea thing going on. Underneath that malty base, however, was a big dose of grapefruit rind bitterness. It actually leaned more sour and astringent versus a fresh hoppy citrus flavor that I'd have preferred. So-so overall.